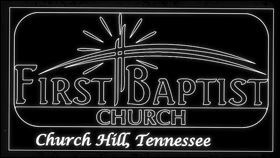 Christmas music concert featuring Teresa and Jimmie Sunday, December 23rd @ 6:00 PM – First Baptist Church – Church Hill, Tn. On Sunday evening, December 23rd @ 6:00 pm, make plans to attend our Christmas Music Concert featuring Teresa Phillips and Jimmie Self. Teresa and Jimmie have produced a CD featuring their piano and trombone music. All proceeds from the CD goes toward the Lottie Moon Christmas Offering. These CD’s are available at the Welcome Center for a donation of $10.00.